Our HLHS Program is now on Facebook! 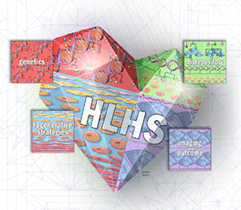 The Mayo Clinic HLHS Facebook page is now live! Join us over on Facebook to read about patient stories, cutting edge research, and all the ways the Todd and Karen Wanek Family Program for HLHS is working to find cures for single ventricle heart warriors. Facebook is also a great way to share your own experiences as HLHS families and to connect to others in the CHD community. Don’t have Facebook? Not a problem! Continue to read our blog and follow us on Twitter.